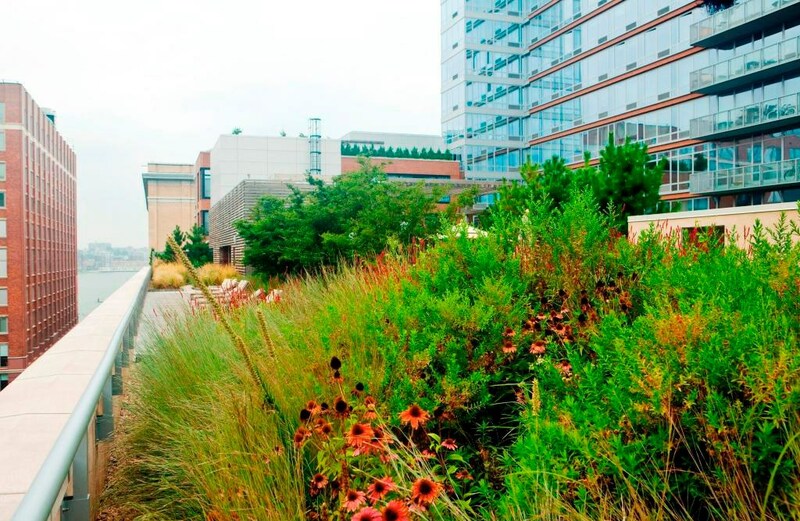 Creating natural landscapes in urban spaces. 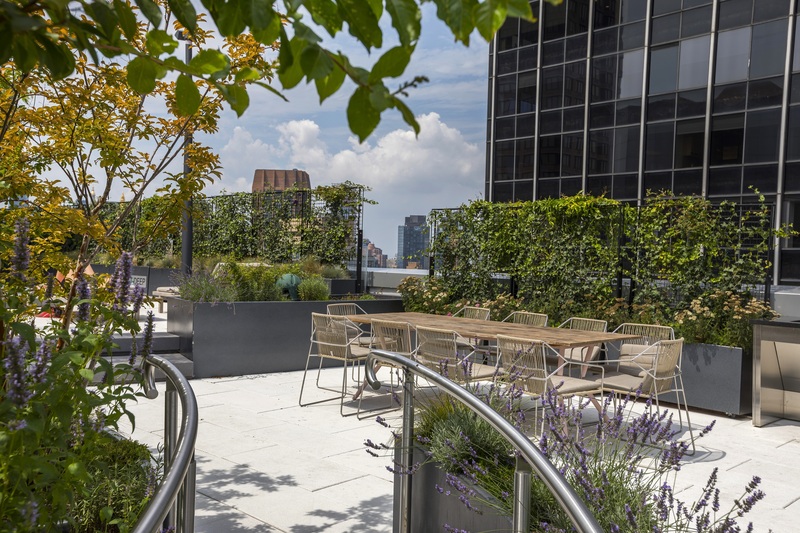 From rooftop gardens and pocket parks, to mid-floor terrace greenscapes and lush courtyards, the John Mini team builds some of the most beautiful commercial landscapes in the city. 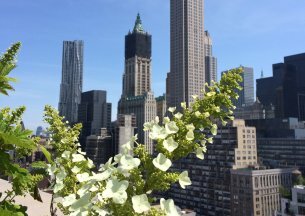 Our outdoor landscapes let you experience the city from a different environment, away from crowded metropolitan streets and towering skyscrapers. Instead, escape into a new outdoors, where you can breathe easier and live naturally. 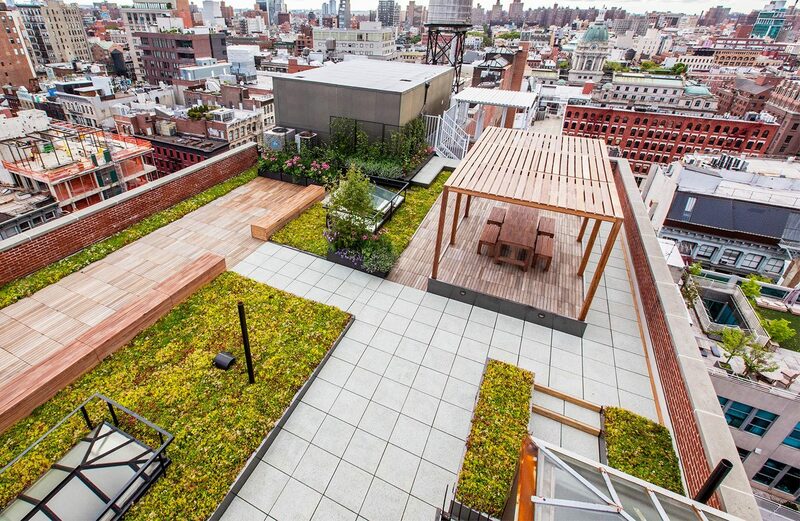 Reimagining the urban outdoors through beautiful exterior landscapes. 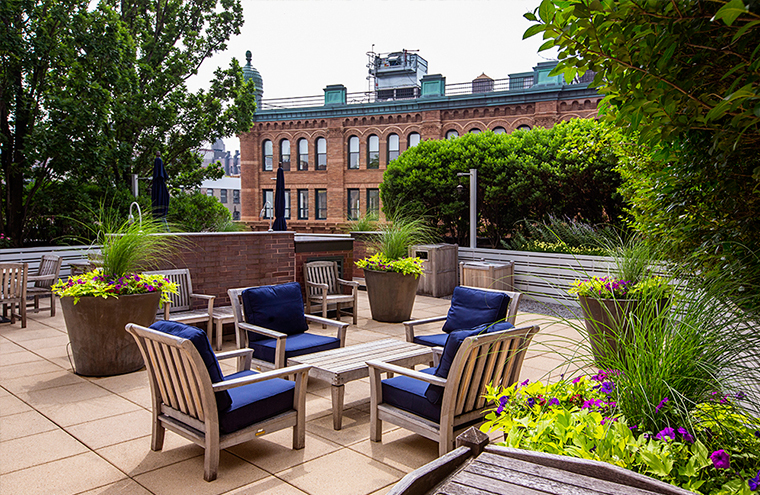 Green terraced landscapes offer a quiet and peaceful retreat from the bustle of everyday life. 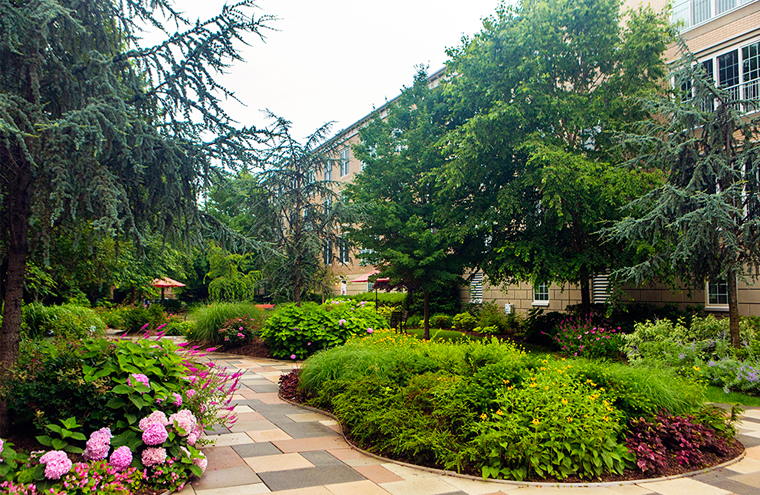 A beautiful outdoor setting for recreation and relaxation, our lush and colorful courtyard landscapes will leave visitors enthralled. 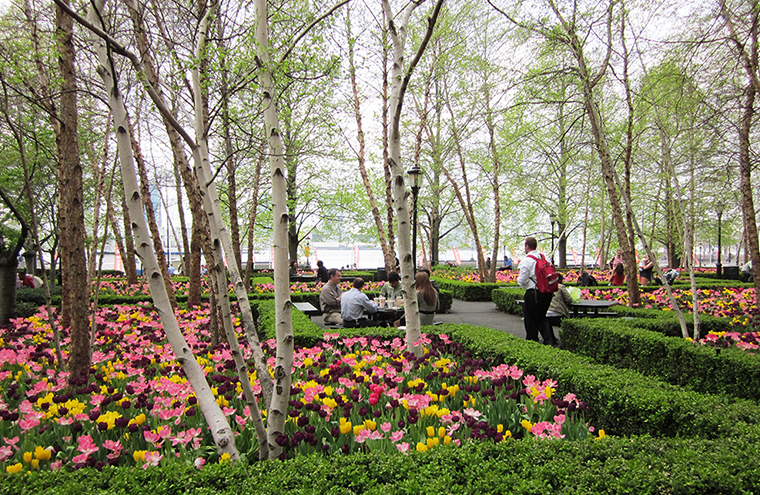 Bring the beauty of nature to your space with sustainable plants, a low-maintenance and earth-friendly planting option. 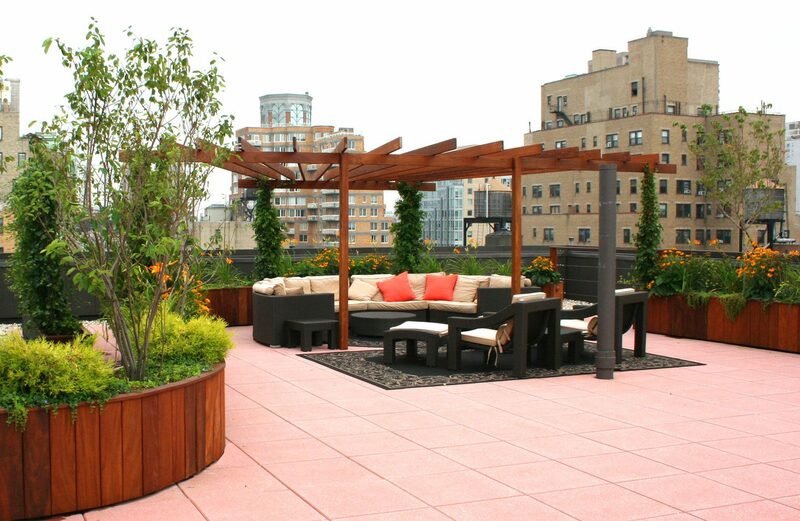 Create the perfect rooftop greenscape where visitors can enjoy the outdoors while getting a new perspective of the city. Add gorgeous new colors and textures to your landscape and capture the beauty of each season year-round. Transform your entrance or outdoor environment into a vibrant space with distinctive containerized plantings. 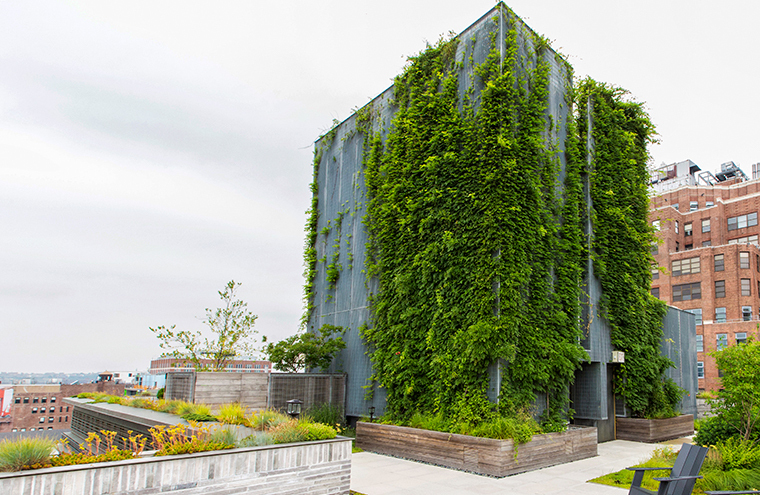 A living wall system adds natural beauty to your outdoor space with an exterior vertical garden. We design with passion and intent, working with you and other designers and architects on the project to create custom exterior landscapes that are both unique and sustainable. 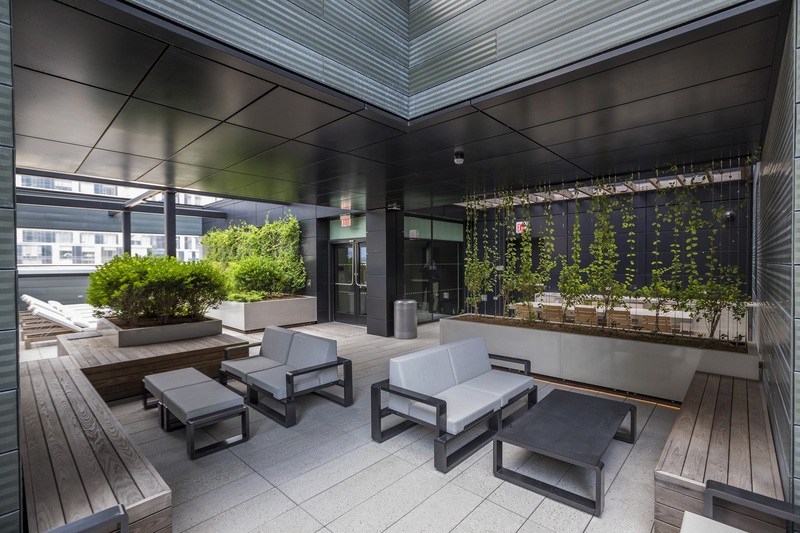 Experienced in constructing exterior landscapes of any scale, our team sources, delivers, and installs materials, all within budgetary and existing site constraints. From Spring and Fall cleanups and irrigation to preventative and reactive planting care, we work with you to maintain our outdoor landscapes and keep them looking fresh and healthy. 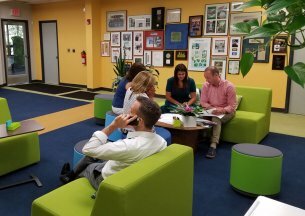 "While there are many things to love about this project, for me, it was gaining our client’s trust. When everything performed as we’d hoped..."